New Delhi, April 13: Amid ongoing controversy around the Rafale deal, a French media house reported that the France government waived off 143.7 million euros tax of Anil Ambani's France-based telecom company a few months after the Modi government sealed the deal in 2015. 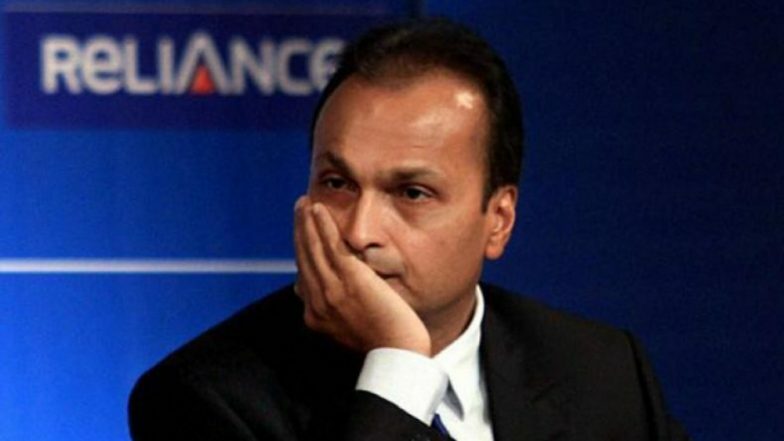 Following the Rafale deal, Reliance Defence of Anil Ambani was named the offset partner despite it having almost no experience in the aviation sector. According to a report by France-based Le Monde, French tax authorities had investigated Anil Ambani's Reliance Atlantic Flag France and found liable to pay 60 million euros for the period 2007 to 2010. Reliance Atlantic Flag France had offered to pay 7.6 million euros as taxes, which was not accepted by the French authorities. Later, further investigation had been conducted for the period 2010 to 2012. Pakistan Lie Exposed Again! French Ambassador to India Refutes Media Reports Claiming PAF Pilots Trained on Rafale Jets as 'Fake'. Following the probe, Reliance Atlantic Flag France was asked for an additional 91 million euros in taxes. When the Modi government announced that India would acquire 36 fully built Rafale fighter jets from the French company Dassault in April 2015, Anil Ambani's company was liable to pay at least 151 million euros, the report said. However, six months after the Rafale deal was sealed, French tax authorities agreed for a settlement. Reliance Atlantic Flag France's 143.7 million euros tax debt was waived off and French tax authorities accepted 7.3 million euros as a settlement, instead of the original tax debt of 151 million euros, the report said. Congress president Rahul Gandhi has been targeting Prime Minister Narendra Modi and his government over the Rafale deal with France and asking why a 70-year-old defence public sector company Hindustan Aeronautics Ltd (HAL) was ignored for manufacturing the fighter jet. Gandhi has also questioned how the cost of one aircraft, which was Rs 540 crore when the UPA government had signed the deal, rose to thrice its value to Rs 1,600 crore under the Bharatiya Janata Party (BJP)-led government at the Centre.